Why do we roll to the right side when coming up in Yoga? Why do we roll to the right side? Your heart is on the left side of your body. When you roll to your right side, your heart remains open and free of pressure. Your heart also remains above your organs on your right side leaving less weight on your heart. This means less pressure after savasana. Pausing on the right side allows your natural blood pressure to reach it’s potential homeostasis. Rolling to your right keeps your ida nadi (one of your main channels of prana, or life force, which corresponds to cooling energy) active and helps to keep your body calm as you come up to sitting. 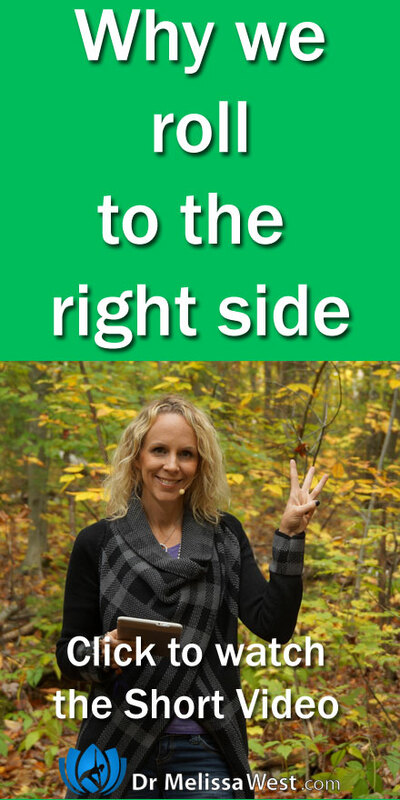 The left side of your body is your yin side. Lying on your right side allows you to continue to breath through your left nostril and continue the relaxing effects. In India, it is considered auspicious to enter a holy space with your right foot. In many parts of the world we greet each other by extending our right hands. The right side represent the east and so rolling towards the east, or the rising sun is symbolic of asking for blessings of grace and bliss. Please note that if you are pregnant you should roll to the left because it increases the flow of blood and nutrients to the baby.